Chelsea Clinton more than holds her own when sparring with Trump. 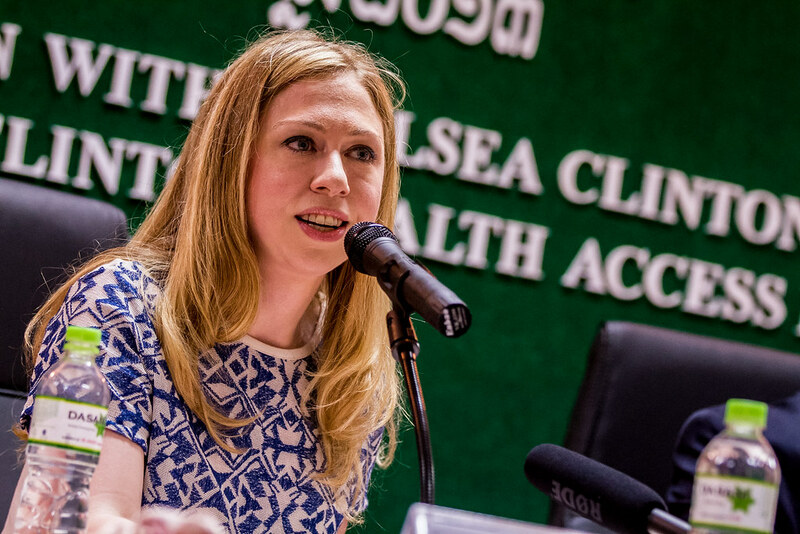 There have been rumors that Chelsea might be entering the political arena as a candidate for office some time soon, but in the mean time – she has all the right stuff when it comes to taunting the current occupant of the White House. As The Telegraph reported in July, Trump took to Twitter “to defend his daughter Ivanka, following criticism over her taking his seat at the leader’s table during the G20 summit in Hamburg with a couple of tweets. In his first tweet he described the decision as being standard, adding that Angela M [Merkel], the Chancellor of Germany since 2005, agreed. “When I left Conference Room for short meetings with Japan and other countries, I asked Ivanka to hold seat. Very standard. Angela M agrees!” he tweeted, following that up with a slam on Democratic rival Hillary Clinton and the media. “If Chelsea Clinton were asked to hold the seat for her mother, as her mother gave our country away, the Fake News would say CHELSEA FOR PRES!” he posted. Earlier this month, Golf.com quoted Trump as calling the White House “a real dump,” and Chelsea was quick to chime in tweeting a thanks to the White House staff. “Thank you to all the White House ushers, butlers, maids, chefs, florists, gardeners, plumbers, engineers & curators for all you do every day” she tweeted in response to a tweet by NBC News correspondent Peter Alexander who tweeted an excerpt from that article with Trump’s quote about the White House being “a real dump” highlighted. In the midst of unleashing all this torment on Trump, she even took time out earlier this week to defend Trump’s youngest son – Barron – after entertainment reporter Ford Springer criticized his casual attire in an article published by the Daily Caller.